The holidays are a time of giving, and once you’ve decided what to get friends and family, colleagues and collaborators are up next. Who better to thank than the actor that helps bring your words to life via ACX? If you’re making a list and checking it twice, but have no idea what to get for the special actor in your life, check out our recommendations. A mug and throat coat tea: Professional narrators swear by this standby that soothes their instrument and keeps it running like a well oiled machine. Lip Balm: Helps prevent mouth sounds such as lip pops while recording. If your narrator doesn’t thank you, their editor will! iTunes gift card: Apps like iAnnotate are a godsend for narrators that read from a tablet, and the card can also be used for apps that help with accounting, organizing, scheduling, and having fun. Staples or Office Depot gift card: If your narrator prefers paper scripts, they can use the card to buy supplies for script prep, like ink, paper, and highlighters. 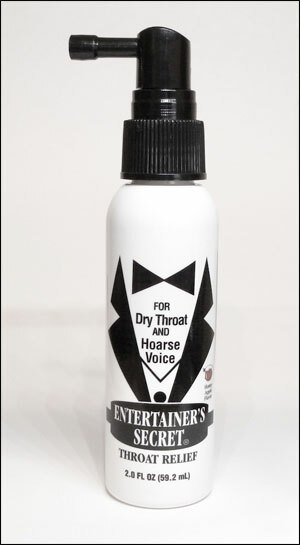 Throat spray, like “Entertainers Secret“: This spray is designed to moisturize, humidify, and lubricate the throat and larynx. Perfect for those long audiobook recording sessions. Sweetwater or Sam Ash gift card: Every narrator could use some funds to put towards new recording equipment or software. You can also include old standby’s, like cookies and other snacks, as well a handwritten note thanking them for their work on your productions this year. Check back in with us on Thursday, when we’ll cover the flip side of the audiobook equation, and give our recommendations on gifts for authors! Actors – what are you asking Santa for this year? This entry was posted in Uncategorized and tagged 2013 gift guide, actor, ACX, audiobook, audiobook creation, Audiobook Creation Exchange, audiobook production, audiobooks, author, christmas, gift, hanukkah, holiday, make audiobooks, narrator, producer, rights holder, writer. Bookmark the permalink. The image you are using for Entertainers Secret is property of entertainerssecret.com. You are linking it to entertainers-secret.com and the product is actually outdated. Please visit vocalhealthcare.com for more products available and newer graphics. Thanks.